Are you still worrying about missing your media files? This iPod transfer freeware also supports other types of media content, including movies, TV shows, music videos, audio books, podcasts, etc. 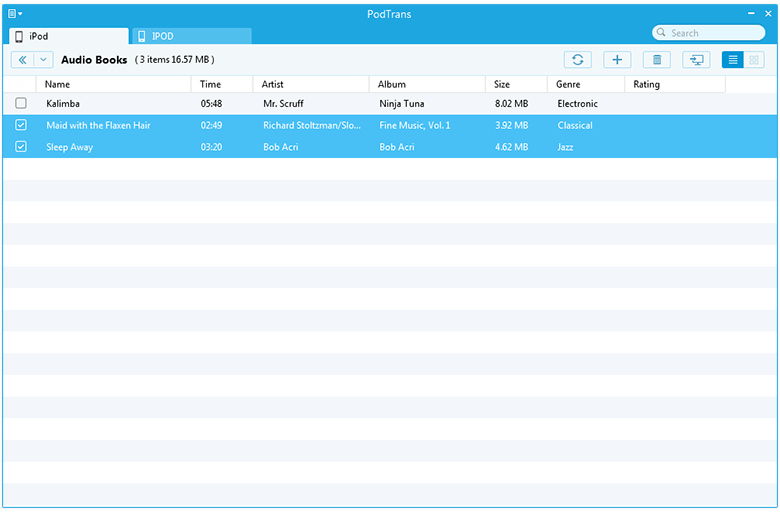 Now with PodTrans, you can freely add, delete and extract those media files to your PC & Mac. How to Export Movies, Audio Books, and Other Media Files to Computer from Your iPod? Step 1: Pick "Audio Books" as an example. Tap "Audio Books" option on the interface to choose books after launching PodTrans. Step 2: If you pick up one or more books from this interface, it is available to refresh, add, delete, and transfer them to computer. To transfer books to computer, just click on the top-right corner. 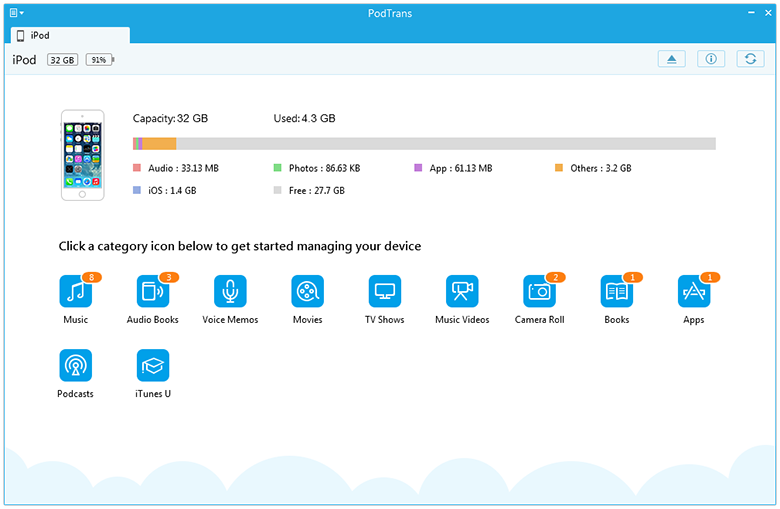 How to Import Movies, Audio Books, and Other Media Files to Your iPod from Computer? Step 1: Launch PodTrans and connect your iPod to the computer. Then the main interface appeared. Step 2: Pick "Audio Books" as an example. Tap " Audio Books" option on the interface to choose Audio Books after launching PodTrans. Step 3: To import the extra Audio Books from computer to your iPod, you can click this button on the top-right corner. Next, choose the Audio Books and click "OK" button to start importing it to your iPod.